Address: 8600, Siófok Petőfi sétány 9. The Balaton Hotel*** Siófok opens in July of 2010. It stands next to the main beach and the Coke Club. 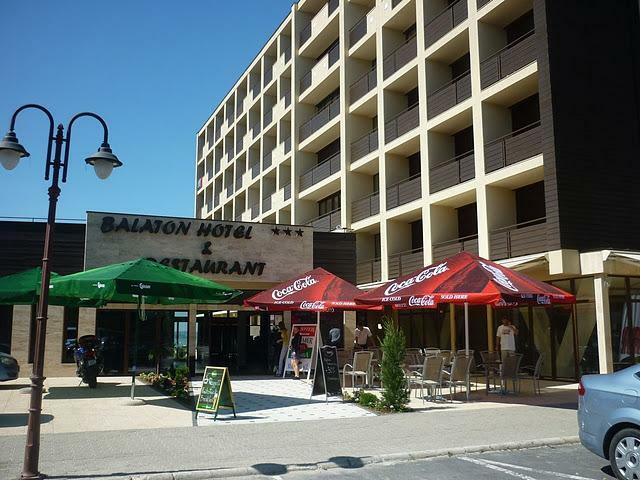 The Balaton Hotel Siófok *** is the newest hotel in the city. The hotel with 120 single and double rooms, appartements wait for guest who would like to relax in the hotel line. The Balaton Hotel Siófok*** offer rooms with balcony, air conditioner, bathroom and internet connection. The hotel has special rooms for our handicapped guests. There is a fantastic spectacle to the lake from the appartements. The hotel’s restaurant and drink bar are for our guest’s comfort. The restaurant is appropriate for 200 people to organise company outings, courses, business meetings, conferences, weddings. The hotel works during the whole year. So, you can not just the hot summer spend here but in spring, autumn and winter you can enjoy the calm area, the beautiful Lake Balaton and the big variety of programs in Siófok. We wait our visitors with love! Prices are include the 50% discount! Prices include accommodation and breakfast fee, but do not include local tourism tax. The tourism tax is 370.- (HUF) / person / night, but the tax is free under 18 years. For children in the room with parents: Free accommodation and breakfast up to age 6. Between 6-12 year ages the extra bed price is valid. * = extra period: 01.07.2012. - 21.08.2012. every friday and saturday night All rooms have balcony, air conditioner, bathroom, internet connection. The hotel opens during the whole year with 120 single and double rooms, appartements with a beautiful view to the lake.